Do you know why soap makers use goats milk in their soap? There are many reasons we love to use goats milk in our soap. Goats milk is full of vitamins and minerals that our skin loves. It has more vitamin B-6 & vitamin B-12 than cows milk. It’s also rich in vitamin A. Goats milk contains natural alpha-hydroxy acids which has rejuvenating and softening properties. Goats milk also helps create soap that has a pH level that is closer to our skin’s pH than soap without it. All of this means, goats milk helps us create a soap that is extra gentle and nourishing for people with dry or sensitive skin. Handmade soap in general is superior to mass manufactured soap because it is real soap. Most soaps you buy, including solid bar and liquid soaps are detergent, and not soap. They contain additives, chemical preservatives, sulfates, and artificial fragrance and colors. Just read the labels. These are things our skin can do without. After all, our skin is our largest organ. It absorbs and retains lots of chemicals from our environment and products we apply everyday. Changing to handmade soap is one simple step you can take toward living a more natural life. You and your skin will thank you. 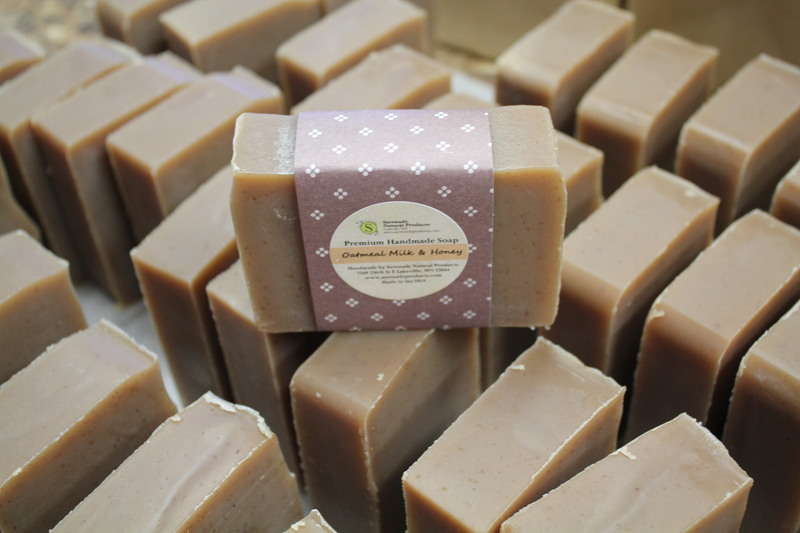 Find our Oatmeal Milk & Honey Goats Milk Soap at www.serenadeproducts.com. 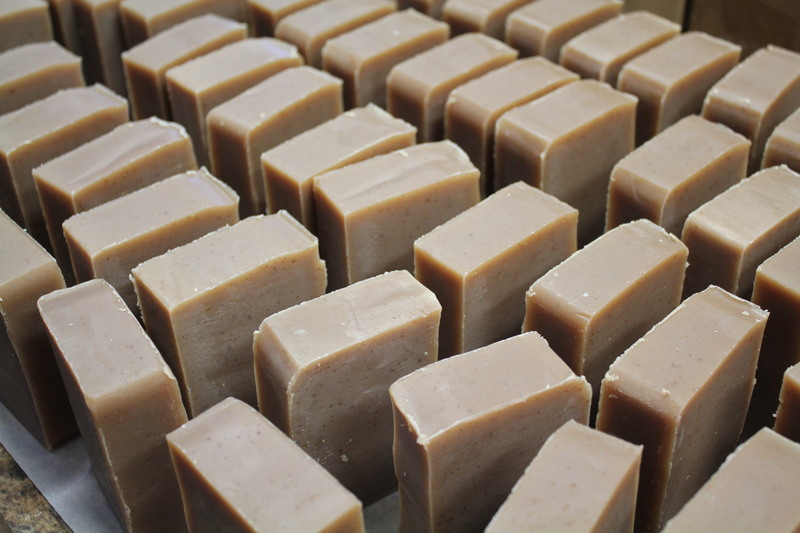 To see how this soap was made, check out our previous post “Time to Make Soap”. This entry was posted in Handmade Soap and tagged cold process soap, goats milk soap, handmade soap, luxurious soap, natural soap, olive oil soap. Bookmark the permalink.